Prostate cancer is one of the most commonly diagnosed cancers in Australian men. 1 in 7 Australian men will be diagnosed with prostate cancer before the age of 75, and on average, 9 Australian men will die from prostate cancer every day. Testicular cancer is the second most common cancer in our younger men aged 18-39 years and the average man is 36 when he is diagnosed in Australia. Know your body and act early if you notice any changes. Better still, don’t wait until you have a concern to go and see your doctor. Regular health checks will improve your chances of picking up something sinister early, and keep you accountable for your own health. Mental health problems will affect 1 in 2 Australian men at some point during their life and every day, on average, 6 men take their own life through suicide. Australian men are dying too young, and it’s time to make some noise and take action. The first step to ensuring good mental health is talking. Talk to your friends, talk to your family, and talk to your doctor. Make sure you put in an effort to stay connected with friends and family. If there’s a friend you haven’t heard from in a while, pick up the phone and ask him how he is. If you yourself are experiencing challenges, know that you are not alone and that help is available. Just because we can’t see it, it doesn’t mean it’s not there. The best thing you can do for your physical and mental wellbeing is keeping active. How you move is up to you. Go for a walk at lunch time, take the kids for a bike ride, or dance with the missus in the lounge room.. Compliment your active lifestyle with a healthy diet and further reduce your risk of developing other health conditions such as diabetes, obesity or heart disease. 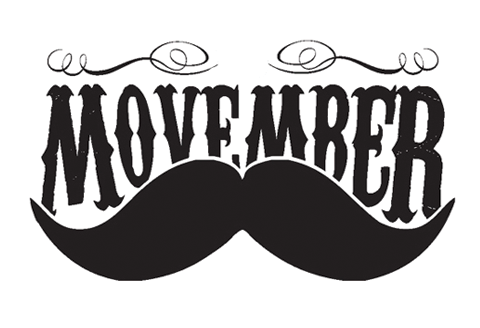 We can all get involved this Movember: Mo, Move, or Get Together and Talk. Grow a moustache, but don’t hide behind it. Get moving and keep the habit up. Talk to your mates, talk to your family and most importantly, talk you your doctor. Visit https://au.movember.com/ for more information. If you or someone close to you are experiencing mental health concerns talk to your doctor or visit https://www.beyondblue.org.au/.